NTT Inc. - What is Hazardous Area Classification: What Does it Mean for my Facility? Do you have hazardous areas in your facility? Do you know how to identify them and train for them? The next edition of the National Fire Protection Association Publication isn’t scheduled for release until 2020. But don’t let that stop you from studying the current version, which includes at least 24 amendments, more than a dozen erratas, a long list of reports from 18 code-making panels, and the most widely used hazardous location classification system in the country. It’s important that your employees understand it. Of course there’s also the National Electric Code’s Articles 500 to 517. 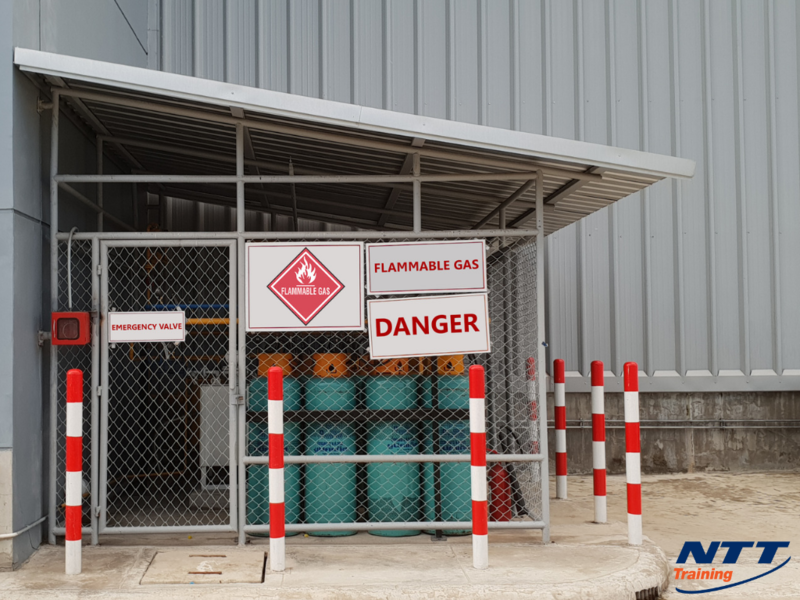 You’re going to want to familiarize your employees with those, too, because they identify types of hazardous substances that are or may be present in the air in qualities sufficient to produce explosive or ignitable mixtures. If you run a company that works with electrical equipment, understanding hazardous area classification is complicated–and it could be a matter of life, death and safety for your employees. As you can imagine, there’s a lot of information to read, review, and understand. Then you have to make sure your employees do the same. To help you get started, look at this quick series of questions and answers–as well as some advice on how to access effective and efficient safety training around hazardous area classifications. Where are hazardous (classified) locations found? According to the Occupational Safety and Health Administration (OSHA), hazardous (classified) locations could be located in aircraft hangars, gas stations, automobile service stations, fuel storage plants, health care facilities, paint-finishing process plants, marinas and boat yards, and agricultural facilities. Of course this list is not all-inclusive. What are hazardous (classified) locations? There is a long, long list of locations that could be classified as hazardous, too many to list here, in fact. In general, any location in which electrical equipment is used, or where it is used where explosive concentrations of dusts or vapors may be present, could be classified as a hazardous location. How do I know if my facility is classified as a hazardous location? Classifications are not typically designated to entire facilities. Instead, they are determined on a room, section, or area basis. You could actually have several hazardous locations–each classified differently–in one facility. the presence of easily ignitable fibers that aren’t likely to be airborne in quantities that would produce ignitable mixtures. What do I have to do if a space in my facility is classified as hazardous? You have to protect all electrical wiring within a hazardous location. What happens if I overlook the requirements? The Occupational Safety and Health Administration, which is otherwise known as OSHA, is the arm of the federal government charged with enforcing hazardous (classified) location requirements. And the penalties can be significant. Recently, a fuel station in Minnesota contested a $14,000 fine levied by OSHA for an explosion that injured two people, according to news reports. According to OSHA investigators, one of the violations was for installing electrical equipment or wiring in a manner that was not “intrinsically safe” and approved for a hazardous (classified) location. How can I protect my employees, company, and bottom line? Understanding hazardous (classified) locations can be incredibly difficult if you don’t have support from experts. The good news is that there are seminars that are understandable, affordable, and taught by highly qualified experts. To learn more about these seminars on hazardous locations, connect with NTT Inc. today.